Indulge your love of sparkle with this glittering cubic zirconia solitaire ring with stone set shoulders. Beautifully crafted in 9ct gold for a classically elegant feel. 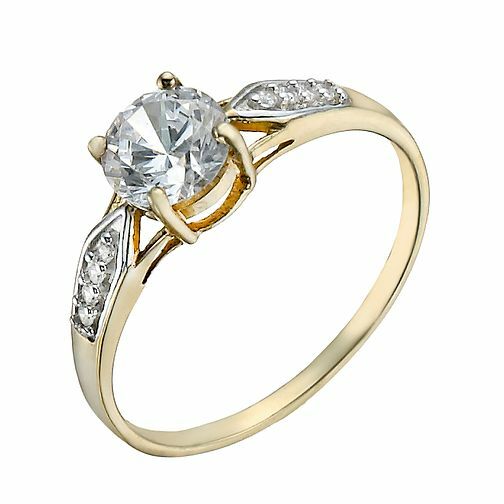 9ct Gold Cubic Zirconia Solitaire & Shoulder Set Ring is rated 4.5 out of 5 by 2. Rated 4 out of 5 by Anonymous from It's almost perfect The ring is lovely, just very thin gold. It sparkles nicely.